She is fire. That Insta-perfect smile. The musical laugh. Her presence fills every room with glitter. 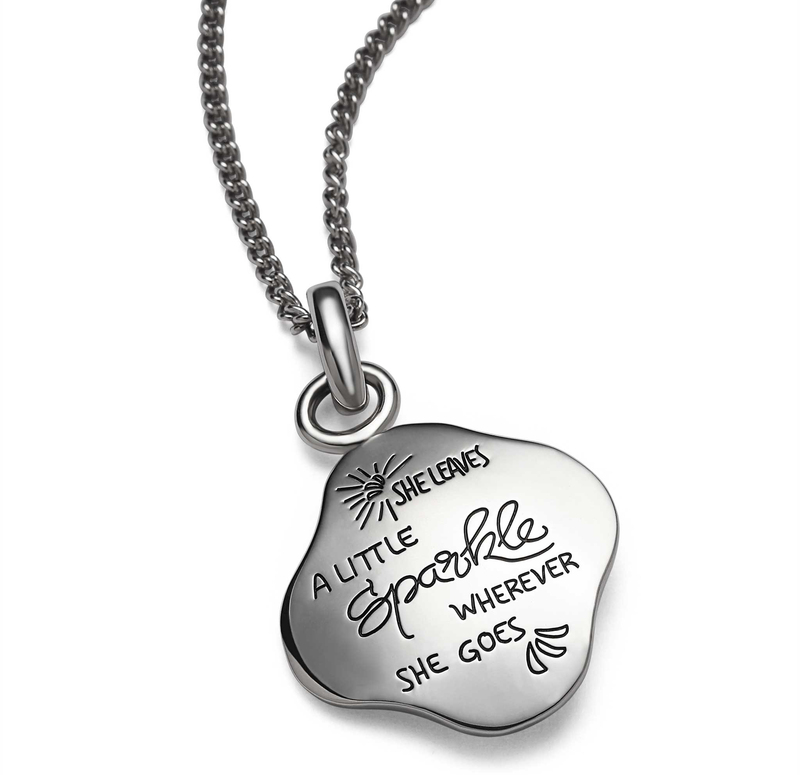 Let her know that you see her sparkling with this playful sterling silver pendant engraved with asymmetrical wording and artistic embellishments. We craft and polish each necklace by hand to make sure her jewelry is as special as she is.